The latest trailer of Samatakamani has increased a good hype for the film. 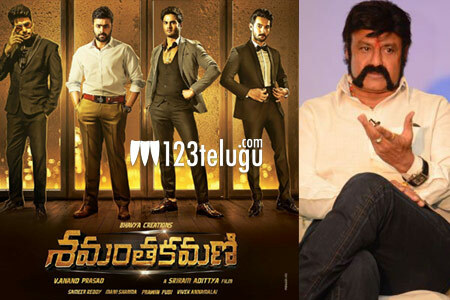 Now, the pre-release event is said to be held on the 3rd of this month in Hyderabad and Nandamuri Balakrishna will be coming in as the chief guest for this event. Directed by Sriram Aditya, this film has Sundeep Kishan, Aadi, Nara Rohit and Sudheer Babu as the main leads. Senior actor, Rajendra Prasad plays a crucial role in this film. Music has been composed by Mani Sharma.